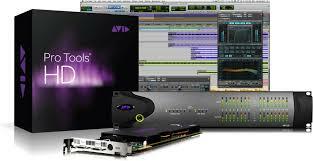 Avid released an update for its professional digital audio workstation software Pro Tools 10, for delivering greater performance, higher sound quality, and innovative new capabilities that set new standards for audio post and music production. New Pro Tools 10 software adds major new features to the worldâ€™s leading digital audio workstation, delivering on top requests from both audio post and music professionals. With it, Avid introduces several new tools and timesaving workflows, such as the top-requested Clip Gain, which separates pre-mix levels from Pro Tools softwareâ€™s renowned mixing automation, greatly speeding up and improving the workflow between sound editors and mixers. Customers will also be able to achieve higher sound quality and better performance than ever, whether theyâ€™re recording, composing, editing, mixing, or playing back their sessions.